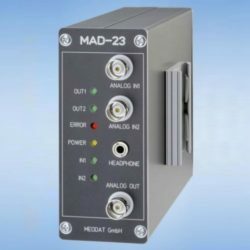 The MAD-23 is able to cost-effectively register and classify noises and vibrations in real-time. 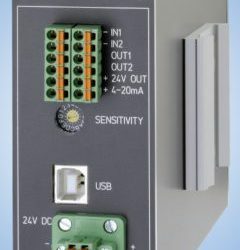 This capability makes it ideally suited for machine and plant automation in control monitoring systems (CMS) as well as for more general noise analysis including quality control. 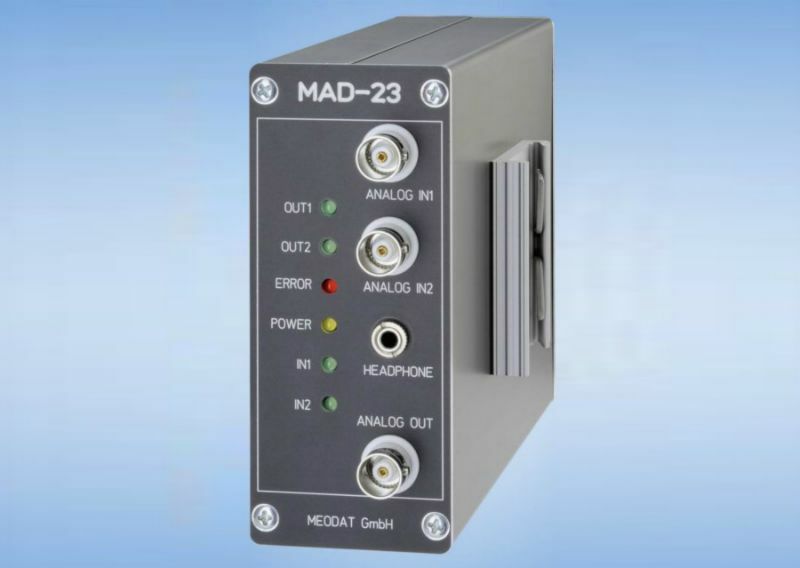 The MAD-23 registers noises or vibrations with suitable sensors such as microphone, radar or mechanical vibration. The noises or vibrations are processed in the main unit and the real-time result is provided as output which may be directly fed to the plant or machine control system(s). 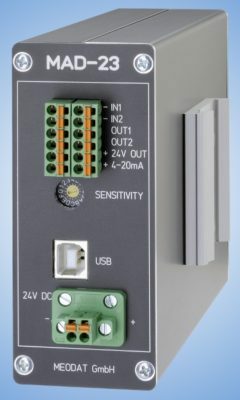 The main unit contains a high performance digital signal processor (DSP) which controls and classifies the sensor measurements in very short measurement and analysis cycles. A PC is used to programme and collect protocols from MAD-23 but is not required for operation. This makes the MAD-23 small, robust, powerful and reliable. The MAD-23 has been designed to be universally applied to specific application measurement requirements through a short noise or vibration learning phase.